Top of that list has to be the debate on what is happening to our built environments. So much of what is being built is green wash at best. Very little effort is actually being committed to addressing the urgent sustainability and climate issues. The standard of building and public spaces remains in the hands of the development and property lobbies. Many awards are passed around and many puff pieces are written in their own and related publications. Conferences and seminars are staged to promote the professions and the corporations involved in built environment projects. Most of this is about self promotions and the professions convincing themselves of the great work they are producing – despite the fact that most of it is simply business as usual with some token green wash if we are lucky. It is rare that for these groups to invite a more critical voice to address them. One outstanding exception to this occurred recently in the UK whereby George Monbiot was invited to present his views to the UK national parks conference. In short George said that he UK’s national parks should be re-designated as ecological disaster zones. 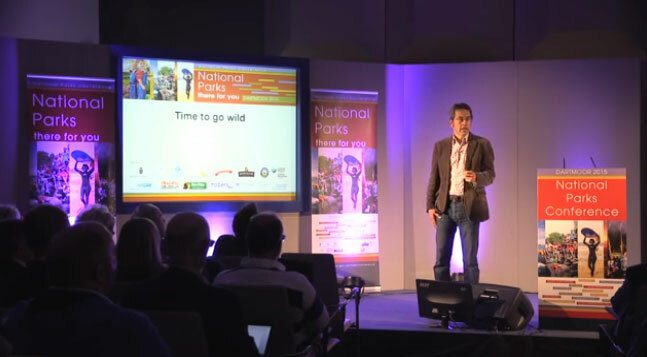 This YouTube speech is a ferocious attack on the dire state of the UK’s national parks, and his ideas for how they could be improved. The presentation is 27 minutes – it is worth watching.